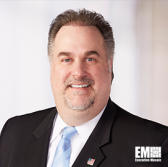 Cameron Chehreh, chief technology officer and vice president of presales engineering at Dell EMC’s federal business, has said federal agencies seeking to optimize their data centers should initially assess their application portfolio and develop their modernization strategy before adopting a specific infrastructure technology, MeriTalk reported Wednesday. Those infrastructure technologies include software-defined storage, converged infrastructure and hyperconverged infrastructure. Chehreh said converged infrastructure works to simplify the three-tier architecture of storage, server and networking and that hyperconvergence is a “converged hardware stack” that works to offer a capability to build a framework for a cloud-enabled, software-defined data center. He said an application intended for general use could better work on a hyperconverged infrastructure designed to provide a capability to deploy software to scale workloads, while three-tier apps that are considered labor-intensive could be a better fit for a converged infrastructure.